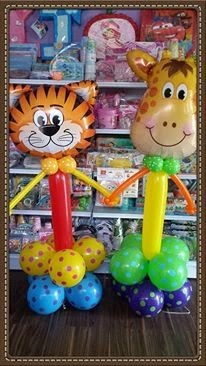 I LOVE BALLOONS! I really do. When I'm down, I'll always bug the hubby for a balloon. Or a flower (but he hardly gets me any!). I've this habit of taking balloons from road shows and making them smaller by releasing some air.. and playing with it while we're out. 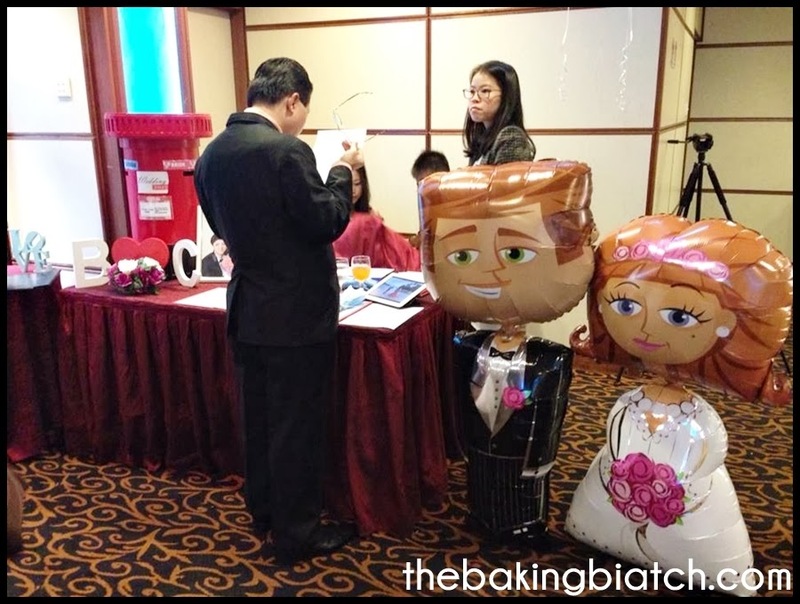 So without fail, what would you Big Day be without balloons? 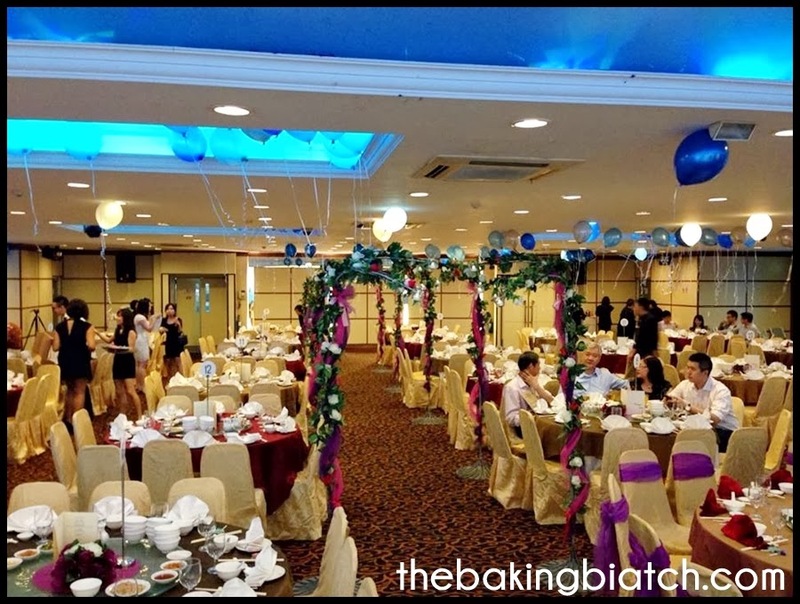 Our wedding banquet was held at Qian Qi @ Civil Service Club (Farrer Park). 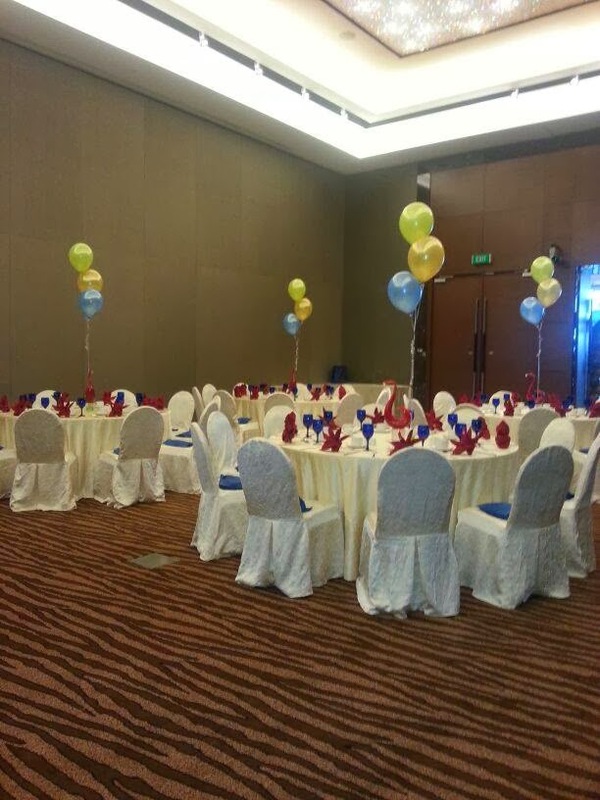 The hall we chose was able to accommodate our guests BUT it was simple. Like really simple. We could have topped up $1.2k to 'rent' the prettier ballrooms but they were small and the $$ could have been better spent. As such, we sought ways to decorate the venue. 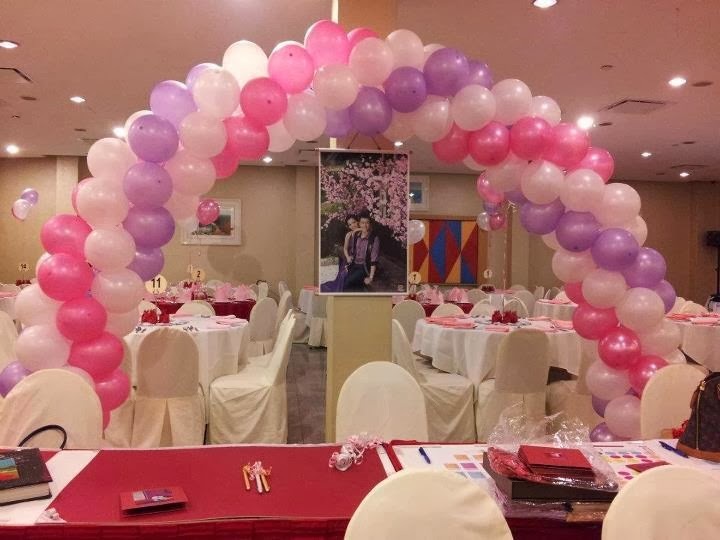 We were truly blessed to have been sponsored balloons from One Party Store to do up our wedding banquet venue! 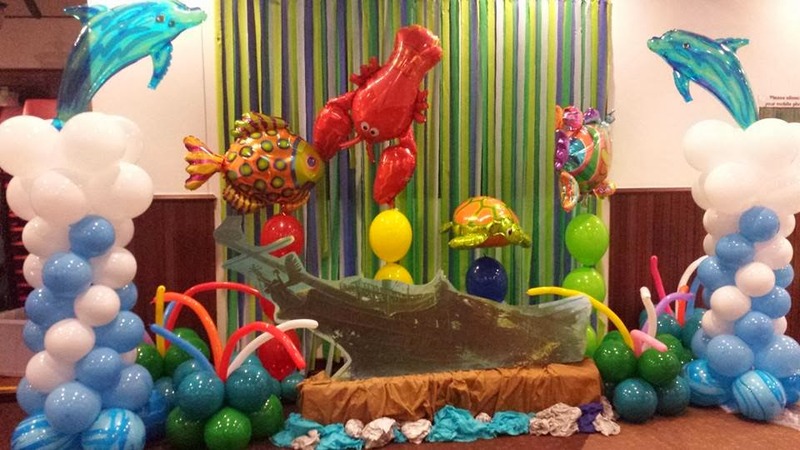 I truly believe that balloons are AWESOME. 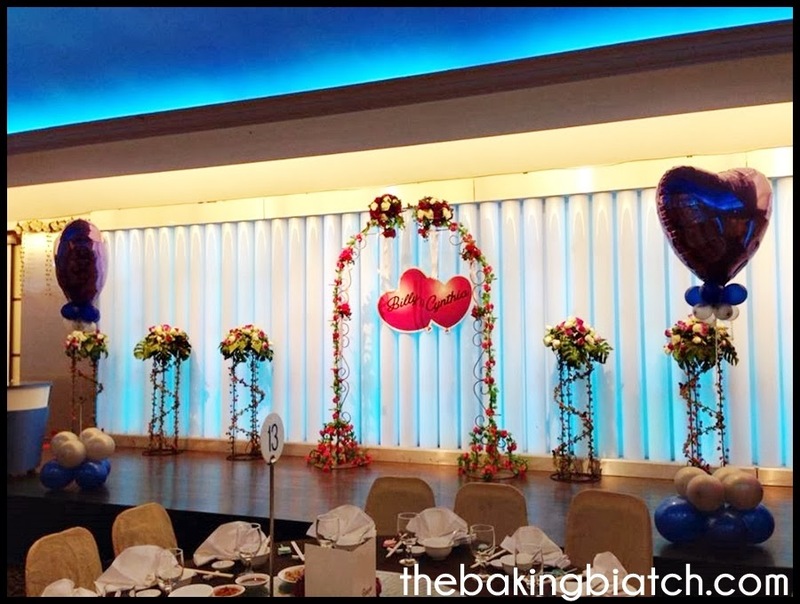 And with little effort, the boring plain wedding venue we had was transformed into a beautiful dinner venue. 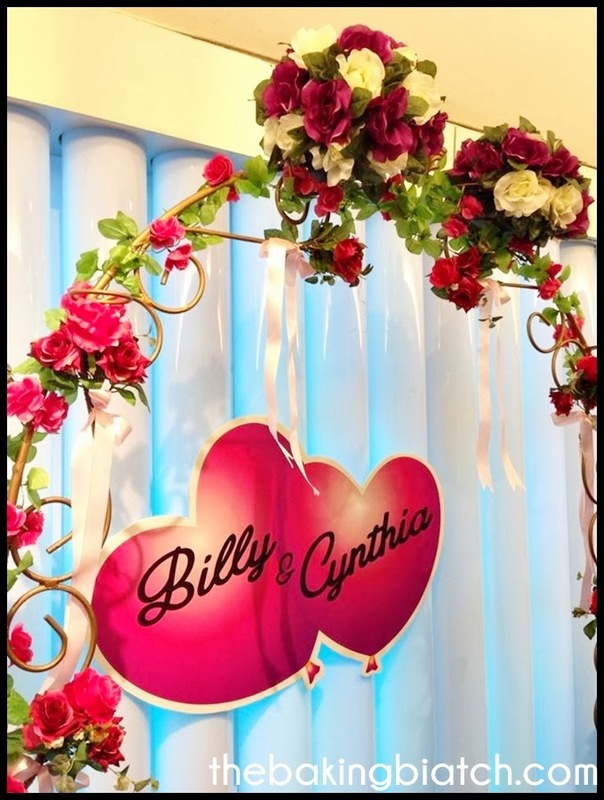 We had a lovely customised heart shaped board with our names done. 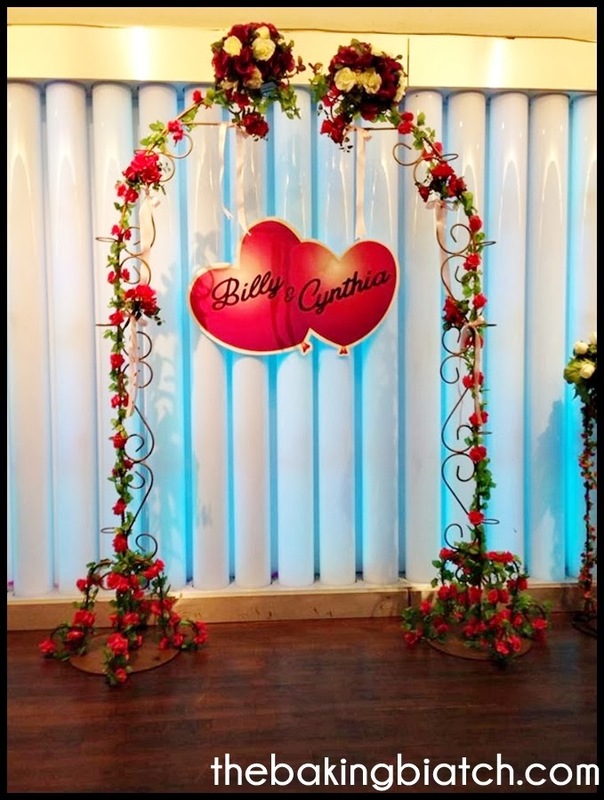 Our stage was transformed with the lovely balloon stands and name board. 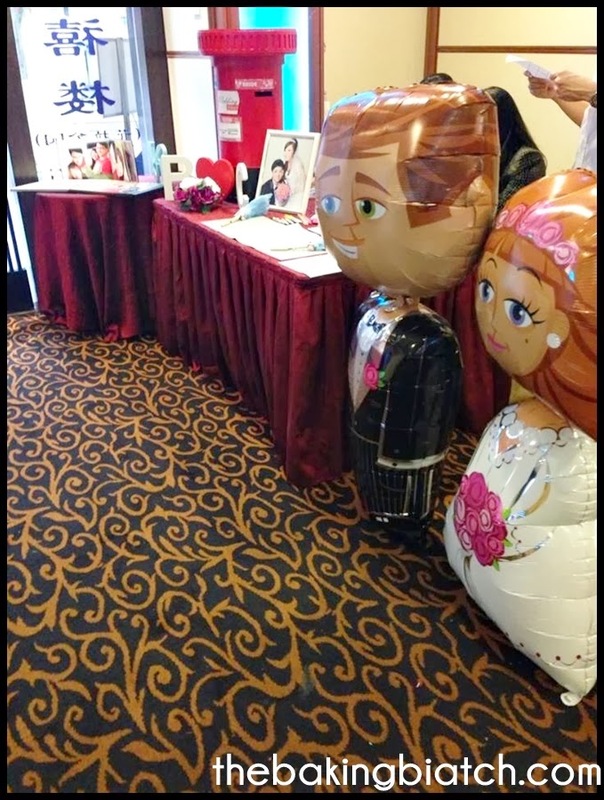 I couldn't get enough of the large heart shaped balloon. 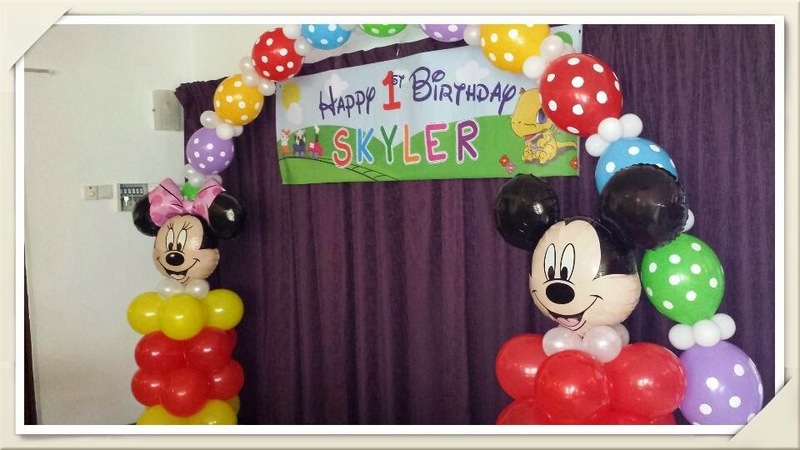 Next up, we had the best balloon walkers. When I first heard of it, I fell completely in love with it. These are amazingly tall, about 1.5m tall! This is as tall as most of the kids I teach!! They were so plump.. and so cute.. It's quite amusing how the man looks a quite 'charming' while the girl is so 'demure'! 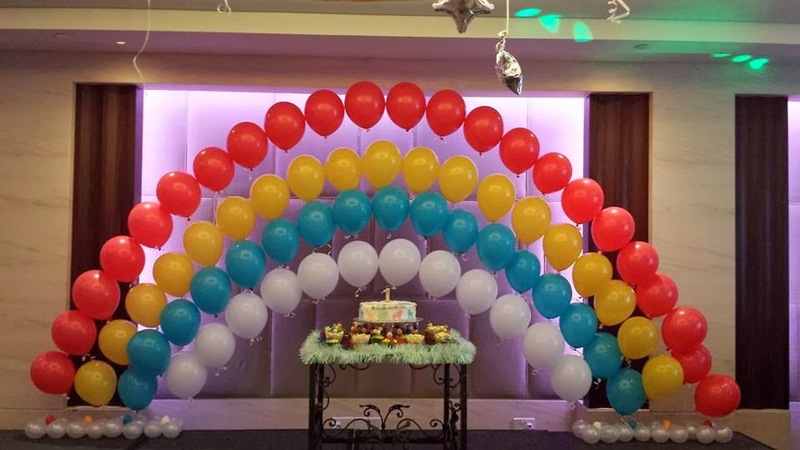 And how could we forget helium balloons when speaking of balloons? These were the HIT of the night with many kids. 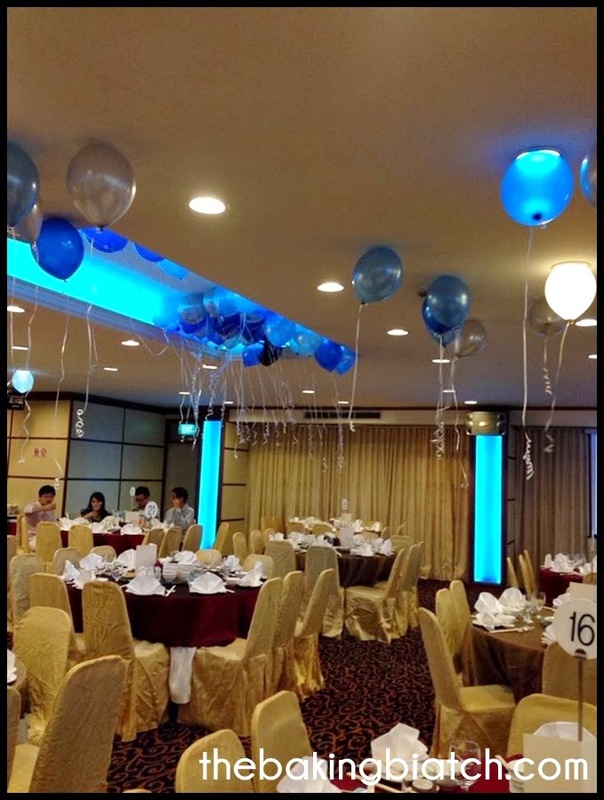 We had about 150 helium balloons in 3 colours strewn all over the large hall that evening. It was a lovely sight. 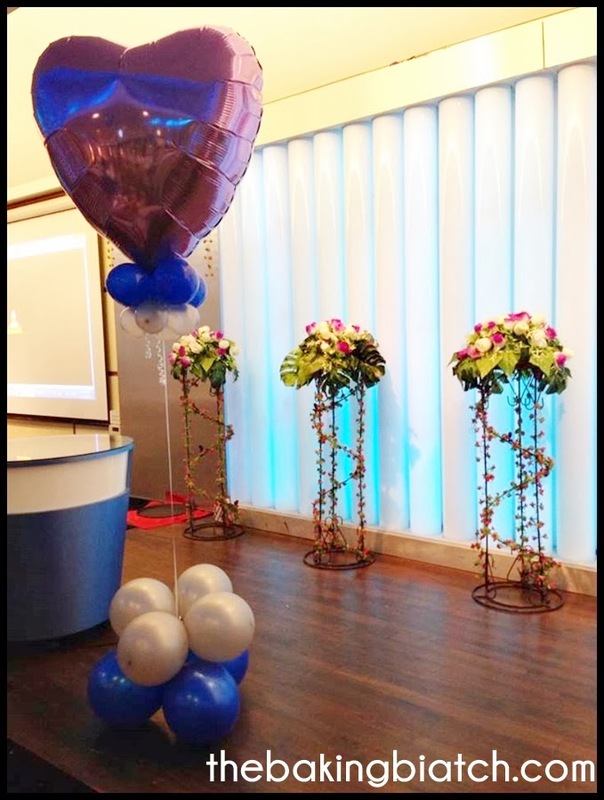 The balloons were so pretty dangling with the ribbons. 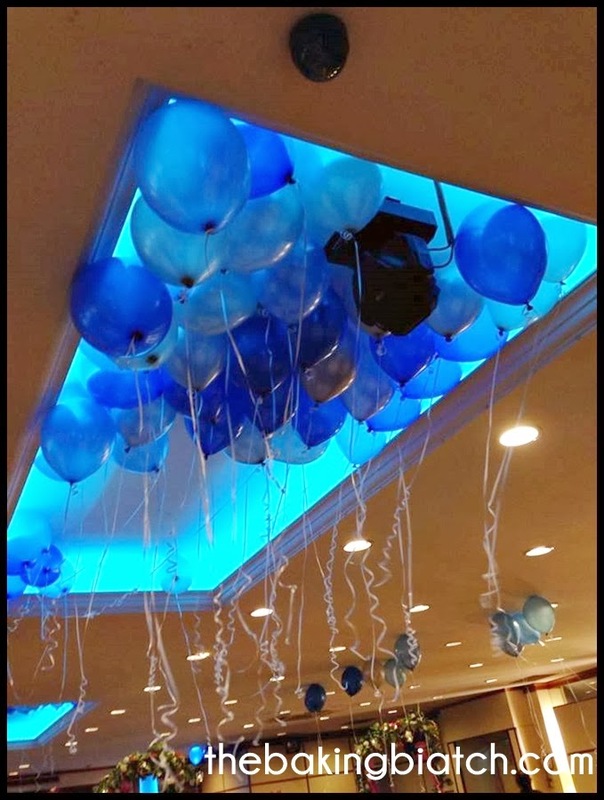 Coupled with the blue from the false ceiling, they were just so pretty! 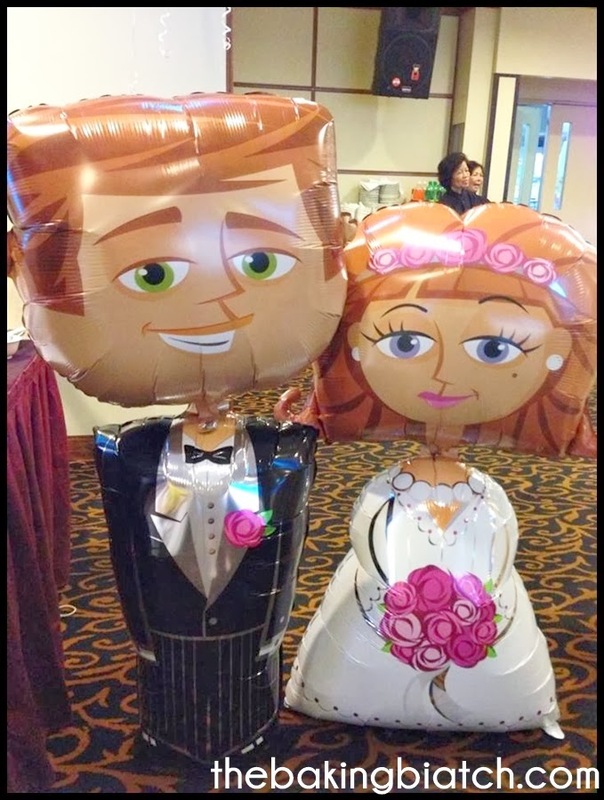 As I was mentioning, these balloons were a hit with the kids. 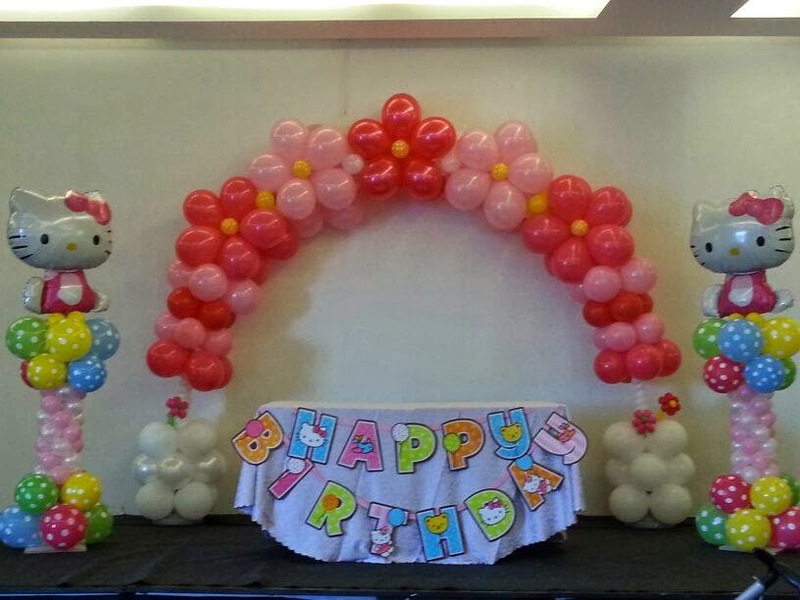 During the dinner, kids started reaching for these balloons and collected many of them!! It was quite an amusing sight but it was great that the kids were entertained between dishes and many people had a great laugh cos my friend's son took as many as 20 balloons in one hand at one moment in time! That sure was a funny sight! 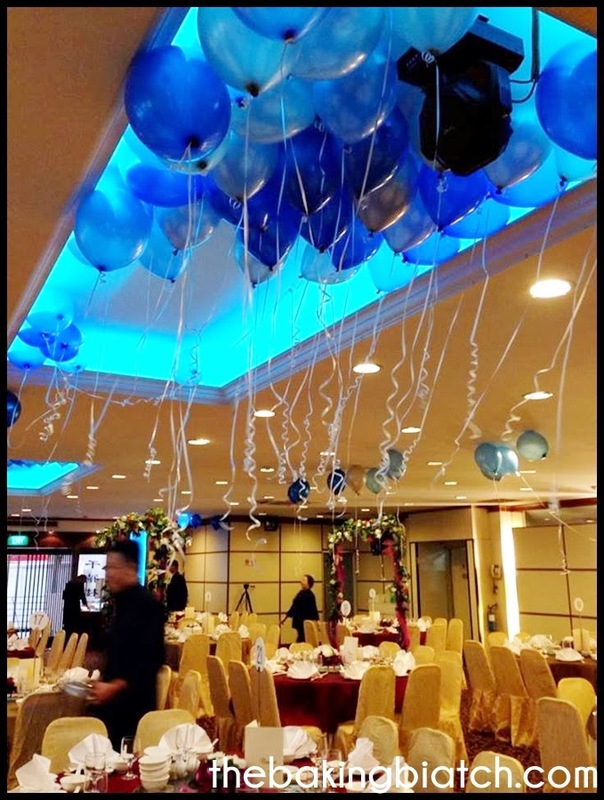 I really love the balloons Lyna and her team did up for us.. and I can't help but agree that balloons are for all events and occasions! Here are some of my favourite works of theirs! Another beautiful set-up for a ROM/Banquet! 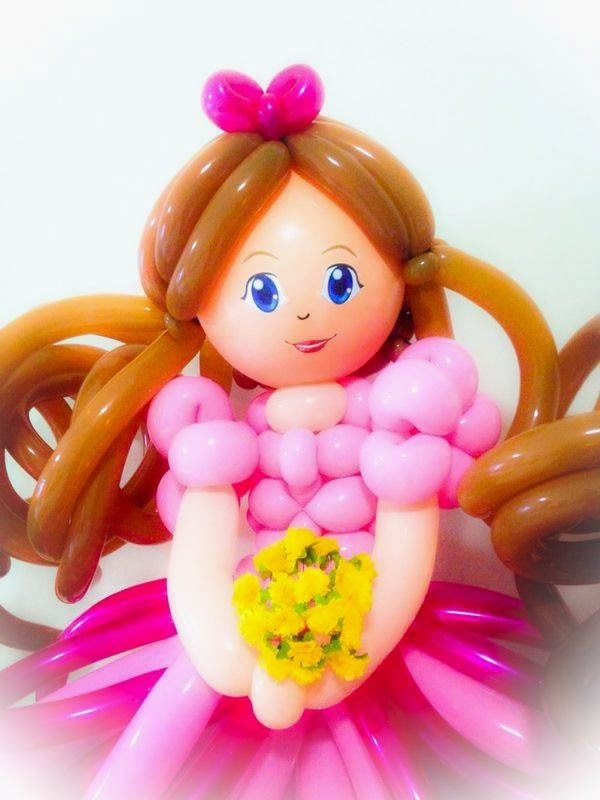 And this balloon sculpture just blew me away... but wait till you see the next one..
SOOOOOOOOOOOO cute right? Gosh. I just melted when I saw this! 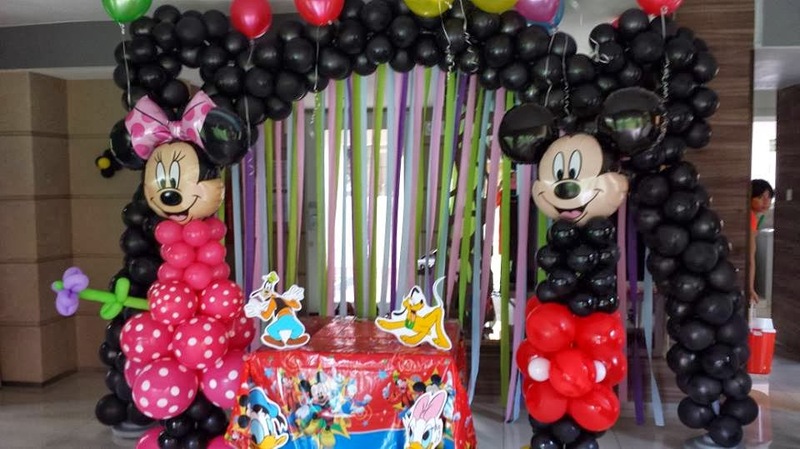 And even archs and mickey and minnie! 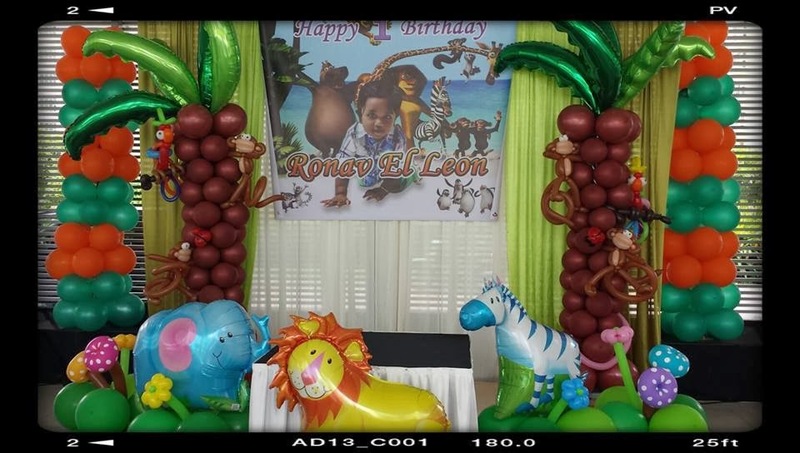 And an awesome Jungle setup! 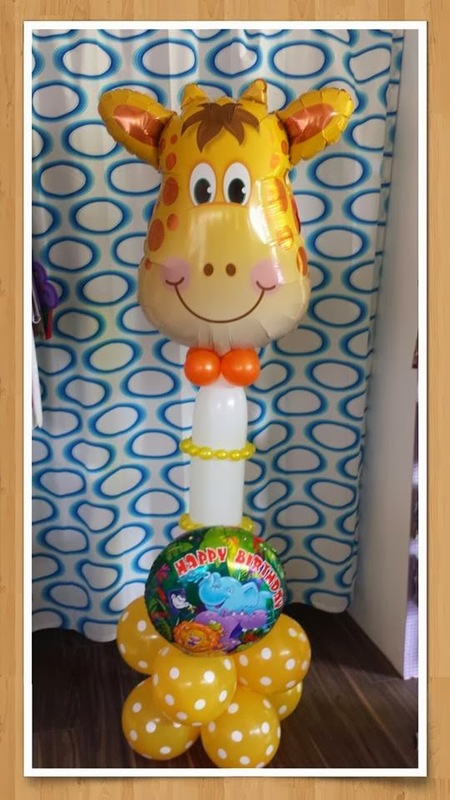 And a super adorable giraffe! For dinners with a high ceiling venue, this is a pretty idea! Just so cute isn't it? 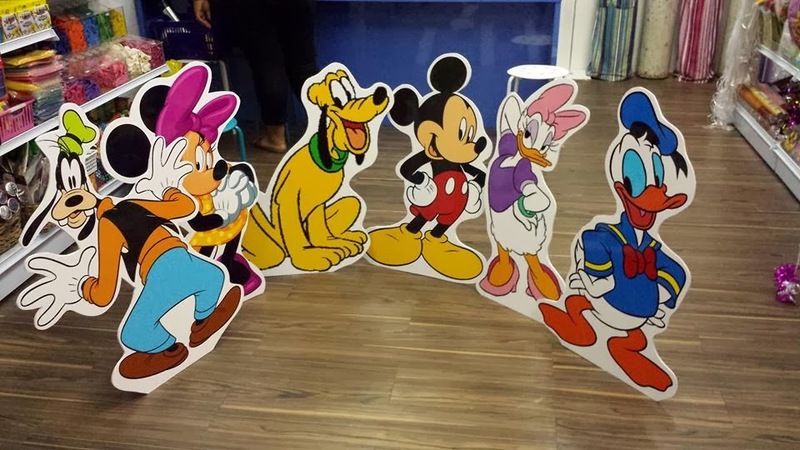 They even have cartoon character cut outs! This is one of my FAVOURITE set-ups! It's just so under-the-sea!! 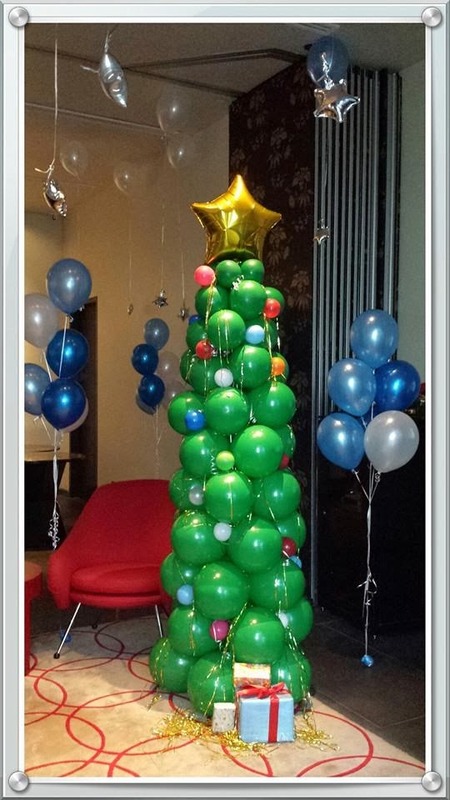 And the geniuses behind the team showed me that even trees can be made of balloons! 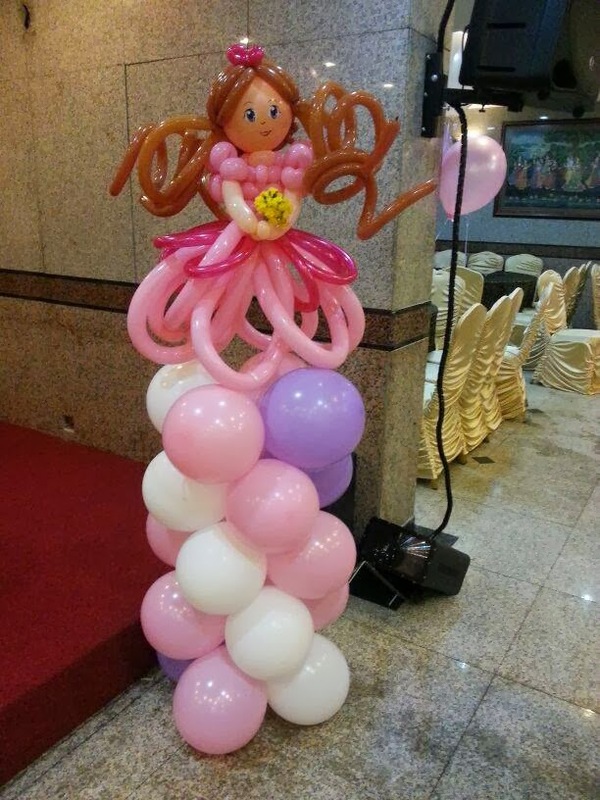 Last but not least.... this pretty balloon doll! Idk why but this sculpture really appeals to me. 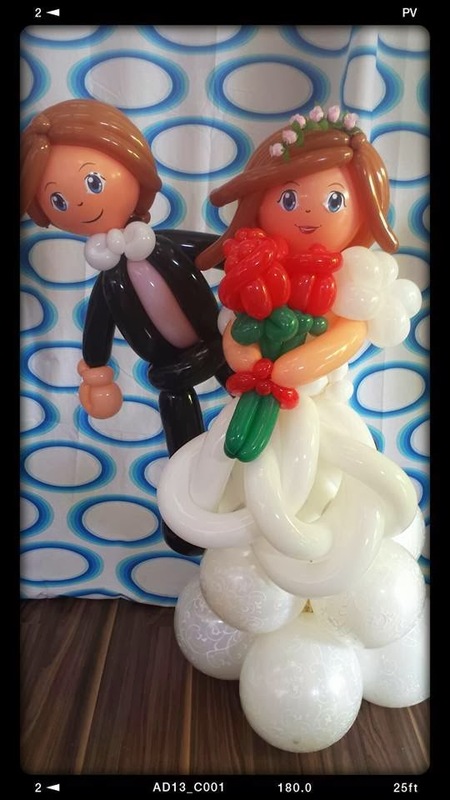 It's just amazing how tubes of balloons can become such a work of art. 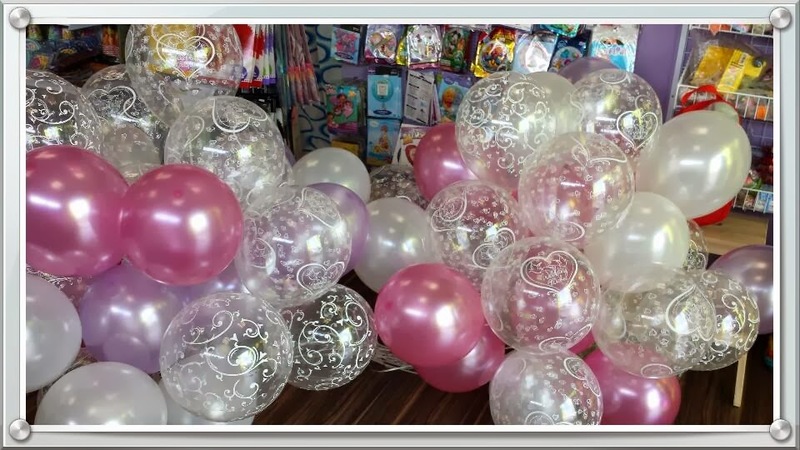 So if you've got a party/proposal/birthday/wedding or yu just love balloons, do check out One Party Store! Their team will definitely be able to work something out for you! By the way, do visit their shop in Bedok Reservoir too! 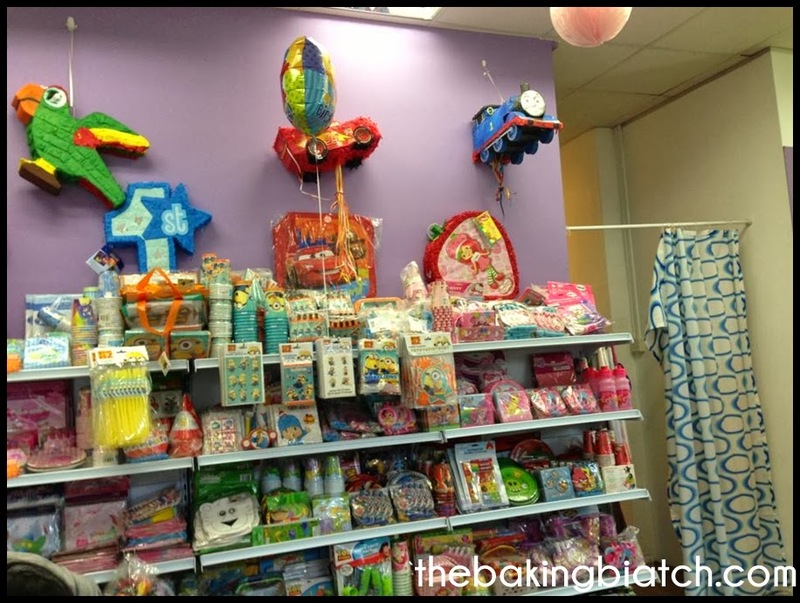 When the hubby and I went to meet Lyna, we discovered the many birthday/full month packages they have to offer... and their shop is like a haven to me! 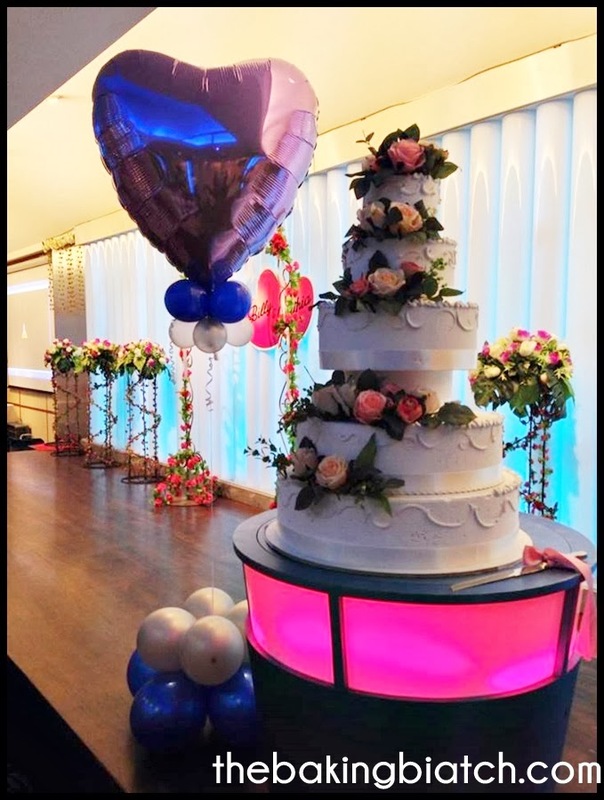 They have a great stash of balloons, themed plates/partyware and even cupcake tiers!